The Burton Mail reports on five arrests made by police at the Britain First demonstration against a “mega mosque” in Burton last weekend. Britain First announced plans to protest against the “mega mosque” on its website in September. The protest on Saturday 17 October saw around 210 far right protestors attend a rally in Burton. A counter-protest by anti-fascist groups attracted 250 supporters. Britain First were revealed in a BBC Documentary broadcast earlier this month, “We want our country back” to want to “ban all trace of Islam from the UK”. 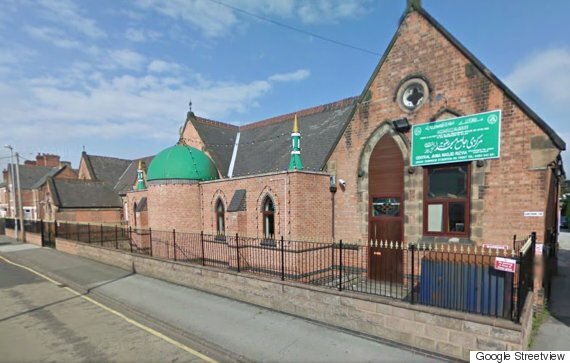 The far right group led a protest against a “mega mosque” in Rochester last year and has frequently protested against mosque planning applications in towns and cities across the country. According to the Burton Mail, police made five arrests last week including an 18 year old, Connor Gilliver, who has been charged with a public order offence and is due to appear on Friday, November 27. A 39-year-old man has been charged with “using threatening or abusive language with intent to provoke unlawful activity or violence” and will appear on Tuesday, November 10.